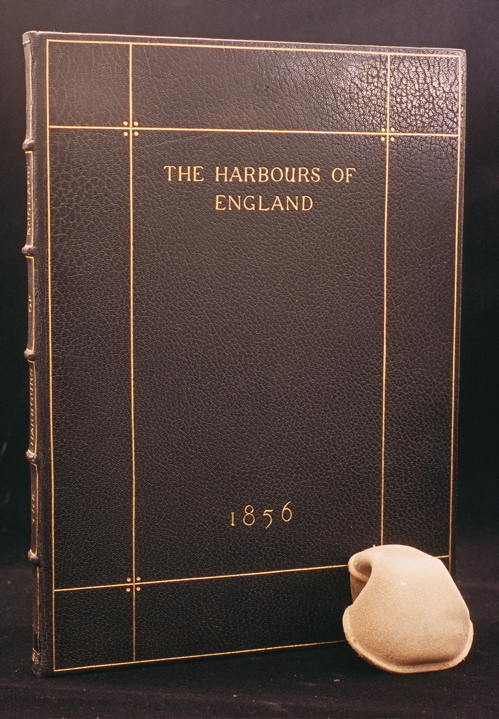 Mr. T.J. Cobden-Sanderson was an highly influential bookbinder, teacher and printer during the Arts and Crafts movement. He is known for advocating simple finishing tools, that he designed, as well as a return to a high standard of workmanship. It was at a dinner party with William Morris where he decided to learn bookbinding, and in 1884 he opened his own workshop. There is a direct line of teaching, from Cobden-Sanderson, to Douglas Cockerell, to Sydney Cockerell and Roger Powell, to Christopher Clarkson. 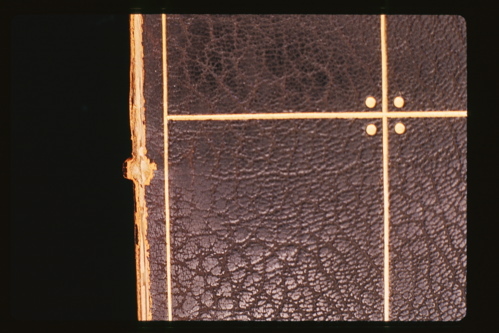 Despite what I have read about Cobden-Sanderson advocating a return to high standards of materials and workmanship, this binding suffered from common late 19th/ early 20th C. failures. The spine was overlined and immobile, the thick boards held on with only severely frayed slips, very thin leather and a single sheet of marbled endpaper. The leather was also deteriorated, dry and lacked strength, possibly as a consequence of its manufacture, poor environmental storage conditions and previous applications of some type of oil. The image above is a detail of the joint area and the detached board. 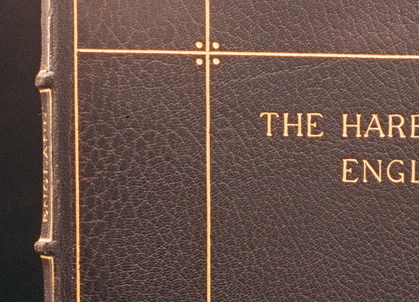 The leather is very thin on the spine. The client particularly valued the visual appeal of this binding, and wanted a very sympathetic repair, so we decided on a leather reback. Leather rebacking was once one of the most common repairs, since detached boards are the most common point of failure in book structures. For a variety of reasons, new techniques, such as tissue repairs, joint tacketing, board slotting and board edge drilling, have somewhat supplanted rebacking. But if it is necessary to achieve a high degree of visual integration, it is an excellent treatment option. 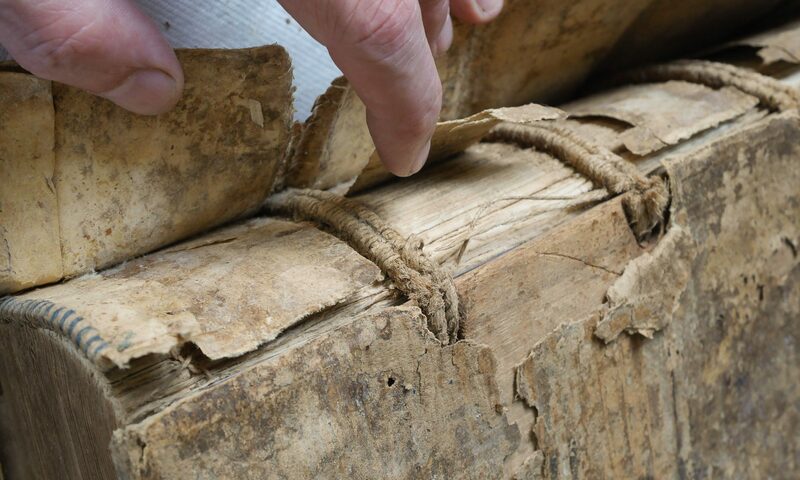 First the old spine was removed and the sides of the leather lifted on the boards and turn-ins using a lifting knife, excess spine linings were removed, and the spine was relined with paste and tissue. New leather was dyed and pared. The boards were split and a linen hinge inserted and adhered to the spine, then sewn through to provide mechanical support. The new leather spine was applied, then the old spine replaced. Functionality was restored and the spine was once again visually integrated with the boards.